Israel Lauches Two Missiles At Alleged Iranian Target In Damascus International Airport – Reports 2.0833333333333 out of 5 based on 12 ratings. 12 user reviews. Israel has reportedly launched two missiles at alleged Iranian target in Syria’s Damascus International Airport. The missiles were allegedly aimed at an Iranian cargo palne, which was unloading at the site. However, it is unclear if the target was hit. The Syrian media says that the missiles did not hit the plane and fell near the airport. According to pro-Iraeli sources, the plane was destroyed. According to local sources, Syrian air defenses were employed to engage hostile targets. However, it isn’t clear if any missiles were intercepted. Reports also appeared that there was an explosion in the northern part of the Al Quneitra province. Some pro-govenrment sources speculate that Syrian forces intercepted an Israeli UAV there. Non of the jewish strikes inside of Syria mean anything: they do NOT change the facts on the ground – and the facts on the ground tell us that Bashar and Co are winning, winning, winning! Let’s watch jewish panic hit the stratosphere when the SAA liberate the Daraa district from israel’s pet terrorists: al nusra and ISIS. Let’s hope that this jewish panic leads to stupid jewish decisions that will lead to the utter destruction of the terrorist jewish state. US backed terrorists Israel have targeted Syrian Damascus airport from Palestine by two DIY home made rockets. BEWARE! The Zionists (lead by their satanic HAARPing queen Patricia Morrison of The Damned), are preparing to make total hell in the Middle East (and elsewhere) – BY ARTIFICIALLY CAUSING MASS EARTHQUAKES THAT CAN MAKE ARMIES INOPERABLE and non-efficient!!!! That is why they ocuupy all the areas susceptible to eartquakes and DIG THE UBDERGROUND TUNNELS to make earthquakes as deadly as possible !!!! And that is the real reason why Israel fills in all their underground tunnels, using Palestinians as excuse, though they know thay do it because Morrison & the rest of the HAARP mafia are preparing the mass catastrophe. IMPORTANT IS TO FILL THE UNDERGROUND TUNNELS IN SYRIA, IRAQ, IRAN – because ISIS and CIA , Mossad and MI6 troups have digged already many of them! That was always the way how IsraHell coward succeeded to take over better opponents – by causing artificial mass catasrophes that look like natural disasters, Plese spread this info, it is insider Mossad info. US carriers groups would be turned to trash if they where to go up against modern Russian ASBM and cruise missile tech. Is this why they all sit at home port today? You mean when we destroyed the Iranian navies with no losses during Operation Mantis in the 80’s? Yep, another revolution in warfare is about to become aparent again, just as trhe carrier knocked out the battleship its now the turn of the carrier to get knocked out of the game. 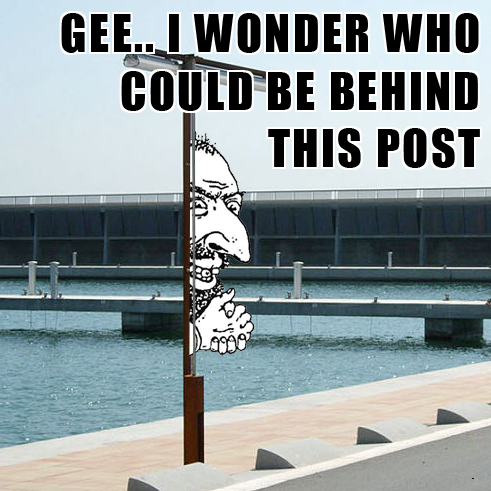 Must be why half the nations of the world are lining up to put in orders Shlomi . . In my view the General was still in the dark as to what Russia could do in total. Syria has demonstrated that taking on the Russians directly and in their theaters, close to home and endless resupply, with immense comparative manpower available, would be a biblical disaster for the US Military. I don’t think you would see much of the US Military any place in the world after that dustup. Additionally, the US public would have zero taste for further adventures. Even the Latino community, which is heavily relied on now for recruitment ( yeah, things are not going smoothly for the Pentagon ), would think twice about signing up their kids to go into that type of butchering again. The example would be similar and probably much more intense, than as happened in the aftermath of the Battle of Tarawa. USMC recruiting dropped dramatically after it became known how much carnage the Japanese inflicted. Further, many if not the vast majority of weapons depots the US has spread around the world, would also be gone. The General speaks in one dimensional terms and I venture to say it is not just for the sake of brevity. But, this was an excellent point, highlighting how dumb that post from PWA truly is. It was a good read. Thank you for offering it thinker. I bid well to you. Another looney American zionist ,brought up on John Wayne films I suppose. Your country is fucked, by the zionist lunatics in control. Hey white trash, how about not wasting our tax dollars for israel and spending it at home instead. Then you can make real jobs for real americans, like fixing our roads and bridges. Keep getting your news from buzzfeed boy. Keep supporting the terrorists you hate so much. Keep blaming iran, when iran held up their part of the deal and you did not. Keep complying with what the masters want. You ……. have not been following anything. It is easy to come on here or anyplace else and talk the caliber gibberish you just posted. Patriotic White American, I don’t think so. More like Ignorant of the Facts and Just looking to be Controversial, without a shred of understanding of the Syrian War created by the US and Co. You are giving the term ‘Trailer Trash’ a bad rep. Knock it off. A great day to you. AMN is reporting the Israeli aircraft flew in over Daraa. A different route to take advantage of Syrian and Russian aircraft in that area? So that air defense is hesitant to shoot maybe. Rather irresponsible and totally illegal, what would happen if those missiles brought down international planes or destroyed them while parked or taxing down the runway? Never mind Israel once the Yanks get kicked out you are next, no one to blame but yourselves for your actions, Israeli civilians will get a taste of what Syria, Iraq went through then see how you like it. Very true, but unlike Arabs, Khazar European Jews cannot handle adversity, nor are they able to comprehend war and human struggle, sufferering. They are a weak lot, and as soon as Israel starts to take battlefield losses, which they will, it will be a flight for the exits, only thing is, that all Israeli airports, airstrips, sea ports will have been destroyed by ballistic missiles. They will be stuck to face the truth of their deeds, and the west wont have the stomach to save them. Typically blatant Israeli actions that have the potential to create a wider war in the ME. Where are the voices of the UK, France, Canada and Australia when an open and UN-recognized aggression is carried out by Israel against another sovereign state? You can only push and bully some people so far before they turn and fight back . . 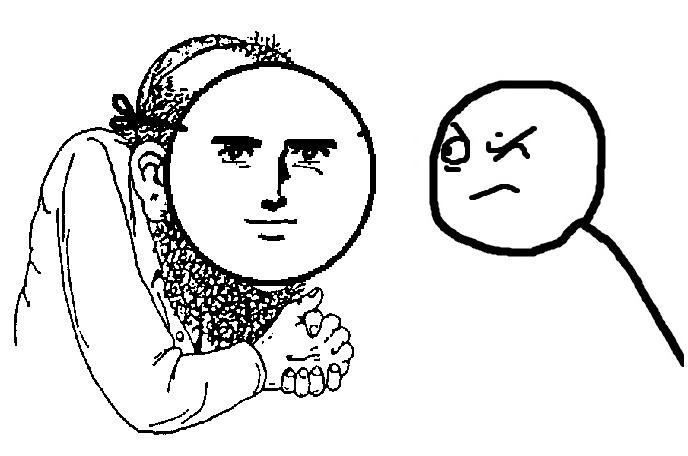 Simple answer to your query; the reason why you don’t hear any complaints is because most of them have jewish background, jews have infiltrated the west over millennia. Many of us are well aware and already do. BEWARE! The Zionists (lead by their satanic HAARPing queen Patricia Morrison of The Damned), are preparing to make total hell in the Middle East (and elsewhere) – BY ARTIFICIALLY CAUSING MASS EARTHQUAKES THAT CAN MAKE ARMIES INOPERABLE and non-efficient!!!! That is why they ocuupy all the areas susceptible to eartquakes and DIG THE UBDERGROUND TUNNELS to make earthquakes as deadly as possible !!!! And that is the real reason why Israel fills in all their underground tunnels, using Palestinians as excuse, though they know thay do it because Morrison & the rest of the HAARP mafia are preparing the mass catastrophe. IMPORTANT IS TO FILL THE UNDERGROUND TUNNELS IN SYRIA, IRAQ, IRAN – because ISIS and CIA , Mossad and MI6 troups have digged already many of them! That was always the way how IsraHell coward succeeded to take over better opponents – by causing artificial mass catasrophes that look like natural disasters, Please spread this info, it is insider info from Mossad. Israelis are US backed terrorists like ISIS, Al-Qaeda, SDF, YPG, Boko haram, Al-Shabab etc etc. Their elimination from the Middle East and Africa is human liability. I tell everyone everychance i get of what a fraud this is. I hope Israel succeeds in starting off a wide regional war. It will be its swift demise. If IsraHell starts… it will be best… because acting out of Self-Defense works best in the Perception of others….The West Screamed FIRE!!! FIRE!!! So many times… that No One will believe them anymore when the Real Fire Starts…. The syrians can always answer him back in kind. Just not the right time yet. A hasty SAA response that would be followed by an Israeli planned response at this pivotal time in South Damascus and is what the Israeli regime is salivating for. Jordan has to go up in flames first. When Jordan is in chaos Syria and Iran can proxy attack Israel like Syria has been attacked. Stop using Zionist hasbara by saying ‘Israel targets Iranian and Hezbollah targets. When they are attacking the SAA, Israel says it was attacking Hezbollah or Iran. BS. then they are complaining for their budget. You can’t be with all sides. Iranian guests of Damascus to fight Isis and Co, are the new excuse to attack Syria, the zionists are scraping the bottom of the barrel with this typical lying BS.Nothing is going to stop Syria from freeing it’s lands from satanic zionist scumbags. The Squatter Ghetto is in dire want of being snuffed out. …..and ASSAD cannot (not even S-300) and Putin doesn’t want (S-400, SU-35) to shoot them down.. Yet Assad and his military have said in interviews that they do have the S-300s, my guess is they have them and have no intention of revealing where they are until/unless there is a major attack. These a shot here, a shot there, are tests by Israel and the US to find out where and how defenses are deployed. Unless Israel, US, UK, France and Jordan launch ground invasion, the facts on the ground will not change and that means Assad victory. I was trying to make sense of the US statement to the US (formerly) backed ‘moderate’ terrorists and I am going to hazard this guess. Russia is directly active in South and US seems to have free hand in Eastern Syria. Basically a deal struck like Churchil and Stalin did on the back of a napkin to partition spheres of influence in the Balkans. Has a deal to partition Syria been made between US, Russia, Turkey? The deals going on behind the scenes seem to be fluid and uncertain it is hard to guess what comes next and which fickle enemies become allies of the moment. But if Assad has his way in south, then Israel has got problems. Also, Regardless of deals made, Hezbollah and Iran will not be dictated to. They are staying and their position with Assad is clear and are one of the clearest signs of some divisions in the Assad alliance. That said, the anti-Assad coalition is far worse such that I would not call it a coalition any more. Speaking of coalitions, reports are the battles are dropping in intensity quite quickly – coalition forces halting offensive operations. The lack of supply is now really beginning to be felt. The Houthis intend to destroy every coalition unit in the pocket and chance of success is high they will do it. So no surprise the EU has suddenly become concerned enough with the humanitarian situation (for the trapped coalition forces that is) they are calling for a halt to hostilities. Houthis should say sure…. right after they kill everything in the pocket like what happened in the Donbas – breakaway region forces agreed to cease fire but implemented after destroying a significant Ukrainian force They had cut off. that was a slimy move.. the unit destroyed was promised safe passage and ambushed as they retreated. May I suggest ‘Grand Analysis of the Battle of Debaltsevo’ By Colonel Cossack, March 3, 2015, Scott.net (Sign of the Times). This analysis is balanced and honest as opposed to most of the pro-Ukrainian propaganda that dominates news sources. Thank you. I am familiar with the ‘cauldron’ or ‘kettle’ battles where Ukrainian forces were ordered to hold untenable position leading to being encircled. Still, I brushed up on Ilovaisk and read a number of accounts from Ukrainian sources. Interesting was reading Battle of Ilovaisk at ifps.io which is Distributed Wikipedia Mirror Project. The article has drawn upon a fairly extensive list of references although almost all Western and Ukrainian sources and so biased – a primary document is the Ukrainian MOD assessment of the battle. No Russian assessments are referenced or even mentioned. Still, the article is instructive in its contradictions. I recommend anyone reading this to go to the site and read through and point out. The problems with the story – there is no lack of them. I may post my own analysis in near future. To close off, the story that it as a massacre is propaganda. Please note that before I express an opinion such as this, I review at least two dozen or more sources across a broad political spectrum. I have no problem admitting error should you provide sources that show such and they are credible. look… i have not been there to know the truth. the general idea is that the retreating units have done so under an agreement and they were massacred. you can find some videos also on the internet with some fragments of the incident. death toll speaks of an ambush. and lack of defensive fire.. why would they retreat in battle formations if they do not fight back? also they passed the first russian checkpoint. Hello Nucu. The death toll during these battles, speaks of units that were outmaneuvered and butchered, when they thought they were strong. History is full of these occurrences. Kiev thought it was on a roll and over reached. They got swatted and have been crying the blues ever since. Kiev thought Occidental backing gave them a free ride. They were very wrong. Fools. War is a really nasty game. If it bothers you, then don’t watch it. I wish well to you. The bottom line, is the Government installed by the USA in Ukraine, are Nazis. The Russians will not allow Nazis to attack Russians. If The Ukraine Government is smart and has the approval of Washington, they should start holding referendums to decide how to partition Ukraine. The US is on the way out, if the Nazis don’t do a deal, the Russians will kill them all. Is Israeli ARROGANCE a disguise for a DEATH WISH? We’ll add this to the long lists if maybes in the undeclared war between Iran and Israel. People will see what they want to see in such clashes. I get the feeling, that the SAA and Co. are playing Mossad for fools. Really, Israeli intelligence knew exactly which plane to hit, which building to hit, all the time? The story line is a great agitator but, I am starting to think that Israel is being led around by the nose and those in the know, are laughing their asses off at how easily Mossad is being fooled. Seriously, what kind of damage could possibly be inflicted here, when everybody knows the Israeli routine? Pffffft. Israel is just wasting ammo, getting themselves in deeper and not doing anything scary. There are endless ways to ship things into the country, especially at the Russians controlled facilities. As amply demonstrated by US President Trump, these kind of do nothing strikes are shear political theater. I could be completely wrong but, this is how it looks to me now. I wish well to all. Well they are really terror attacks, remember it was Israel that first used terrorism as a tool of war. They staged terror attacks against Palestinians to scare them into leaving their homes. That’s how Israel came to be, terrorism. Hello Sinbad. I can see what you are saying. The problem with what the Israelis are doing, and it is their problem, is that terror attacks are supposed to be committed for the purpose of revenge or deterrence. What they are doing is just raising the dust level in a few places. Israel has similar modes of operation as the US, and other empires throughout history. But, these reach a point of diminishing return as the true strengths of these nations eventually disappeared. BN and his crew are ultimately just loading the cannon of massive internal problems for Israel, which could cause it’s implosion. My take on it. I wish well to you. Why give Israel an excuse to call for US help, if they deflected the missiles that is enough for now, no reason to run into their trap when you can just swat them away. Exactly, all the people calling for Russia and Syria to respond, are those that wish to see Russia Syria and Iran, defeated and turned into American vassal states. These are merely distractions, if Syria keeps on this path, victory is assured. 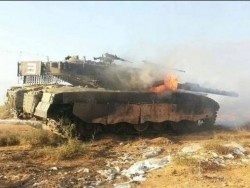 This is a great chance for combat testing of Iskanders, give ZIO bloody thiefs GENIE at Golan and their accomplices what they deserve, scorch drilling equipment and send the bastards who didn’t get their bat wings home. Here is a video of a German ship firing a Raytheon SM2 missile. After seeing Patriot missiles malfunctioning recently, you have to ask, does any American stuff actually work?